A security robot has been put to work in San Francisco in an attempt to deter homeless people from forming tent cities. The robot uses lasers and sensors to monitor an area for criminal activity. Rather than intervene during a crime, it alerts human authorities. The robot’s owner, the San Francisco SPCA, said it has seen fewer tents and car break-ins since it deployed the robot in the city’s Mission neighbourhood. The San Francisco Business Times reported last week that the San Francisco SPCA, an animal advocacy and pet adoption group, put a security robot to work outside its facilities in the gentrifying Mission neighbourhood. The robot’s presence is meant to deter homeless people from setting up camps along the footpaths. Last week, the City of San Francisco ordered the SF SPCA to keep its robot off the streets or be fined up to $US1,000 per day for operating on footpaths without a permit, according to the Business Times. Krista Maloney, media relations manager for the SF SPCA, told Business Insider that staff wasn’t able to safely use the footpaths at times because of the encampments. Maloney added that since the SPCA started guarding its facilities with the robot – known as K9 – a month ago, the homeless encampments have dwindled and there have been fewer car break-ins. 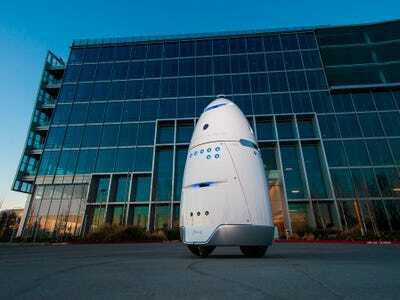 Knightscope rents out the robots for $US7 an hour – less than a security guard’s hourly wage. The company has over 19 clients in five US states. 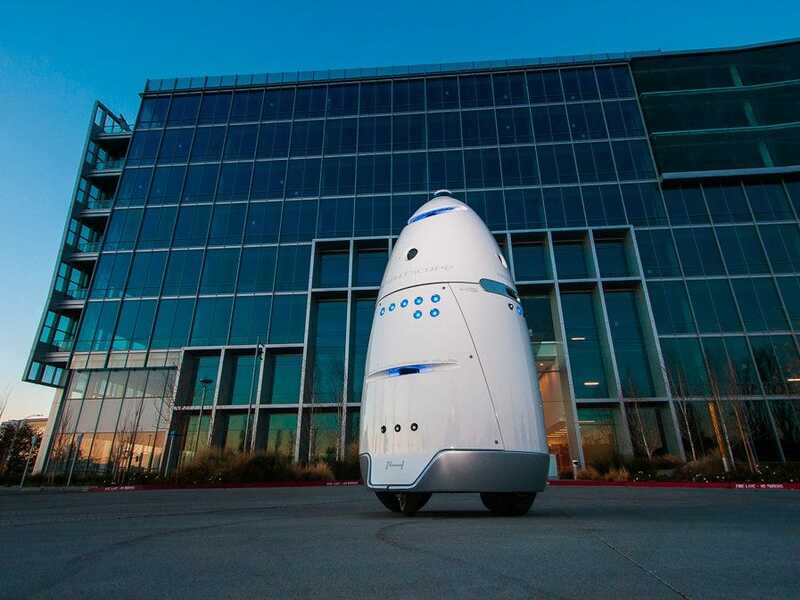 Most customers, including Microsoft, Uber, and Juniper Networks, put the robots to work patrolling parking lots and office buildings. “If I put a marked law enforcement vehicle in front of your home or your office, criminal behaviour changes,” Li told Business Insider earlier this year. The K9 robot circling the SF SPCA has drawn mixed responses. Within the first week of the robot’s deployment, some people who were setting up a homeless encampment nearby allegedly “put a tarp over it, knocked it over, and put barbecue sauce on all the sensors,” according to Jennifer Scarlett, president of the SF SPCA. A Twitter user reported seeing faeces smeared on the robot.